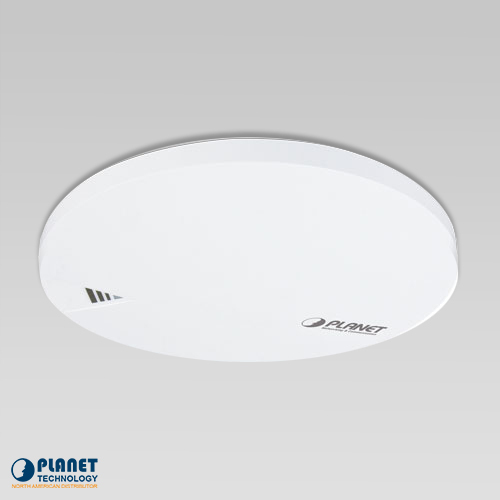 The WDAP-C1750 is an 802.11ac Dual Band Ceiling-Mountable Enterprise Wireless Access Point with advanced security and management features. 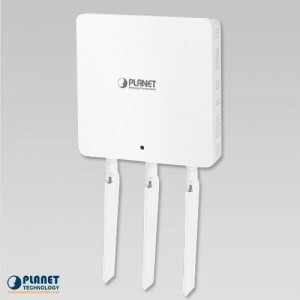 This master AP can also operate as a Wireless Access Controller that can manage multiple remote APs. 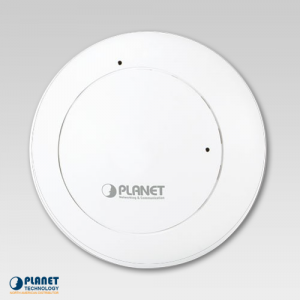 The WDAP-C1750 is an 802.11ac Dual Band Ceiling-Mountable Enterprise Wireless Access Point that can operate as a wireless access controller to manage multiple APs. This wireless access controller allows using a single SSID to log into any of the associated WAPs. This simplifies the management of multiple WAPs in enterprise settings. The WDAP-C1750 also features a NMS (Network Management System) that allows network administrators and system integrators to monitor and manage their entire network at-a-glance in the operation mode. The NMS control platform, provides a bird’s eye view of the entire wireless network including system information, managed AP, managed AP group and active client list with real-time scanning. 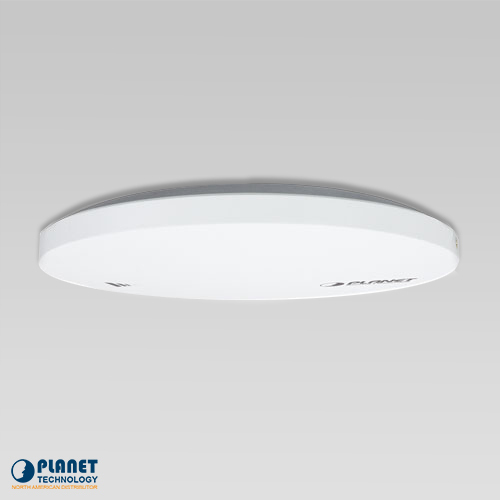 The WDAP-C1750 also provides network administrators a graphical wireless coverage map that renders heat maps, as well as the location of devices on a custom, uploaded floor map. 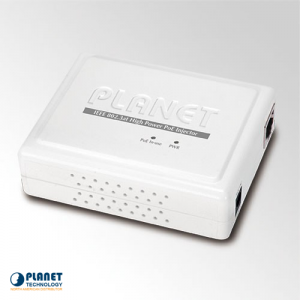 The WDAP-C1750 can easily operate as controller of a manageable wireless network. 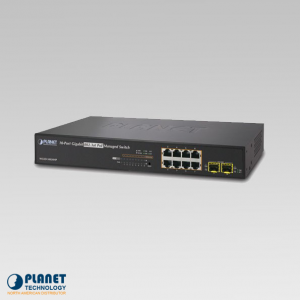 The WDAP-C1750 features advanced security and management features including SSID-based VLAN, SNMP, internal RADIUS Server and a simple-to-understand NMS (Network Management System). With 3T3R MIMO and IEEE 802.11ac dual-band technology, the WDAP-C1750 provides ultra-high speed performance of up to 450 + 1300Mbps (2.4GHz + 5GHz). 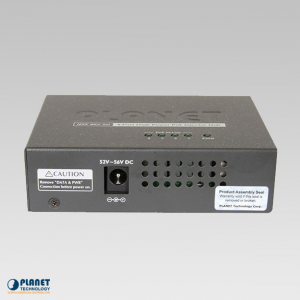 It’s high-speed performance makes it an ideal WAP solution for the support of multiple HD video streams, VoIPs and data sessions. 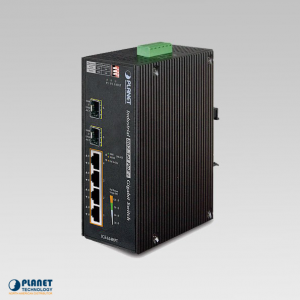 The WDAP-C1750 fulfills the high-speed demands of SMBs, hotels, hospitals or any networking environments with high-density network applications. 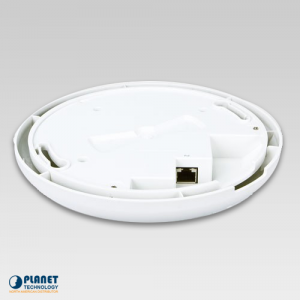 The WDAP-C1750 features an elegant and durable ceiling-mount encasement allowing for, which provides more flexible deployment options for enterprises. 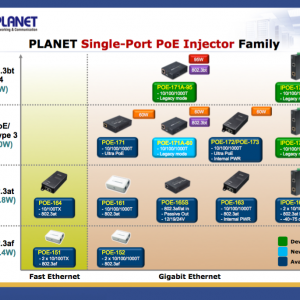 By supporting the standard IEEE 802.3at PoE PD power scheme, the WDAP-C1750 can power any network using a single UTP cable. 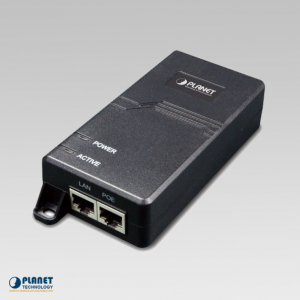 With the Power of Power over Ethernet (PoE), the simultaneous transmission of power and data eliminates the expense of installing additional electrical outlets on the ceiling. In addition, the unit features advanced PoE scheduling. The WDAP-C1750 also includes an extra T-rail mounting kit allowing IT engineers to easily hang bulky APs without any construction. 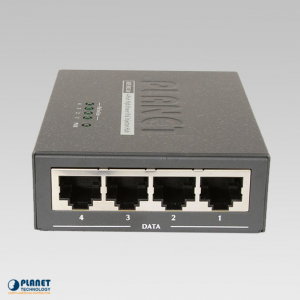 In addition to using WEP/WPA/WPA2 encryption, the WDAP-C1750 also provides an internal RADIUS server and MAC-based ACL that authenticates and protects your LAN from unauthorized wireless connections. The WDAP-C1750 enables system administrators to remotely monitor the network status of a wireless network using the SNMP and the Syslog server, as well as the IEEE 802.1Q tagged VLAN which can be mapped to multiple SSIDs (16 sets of SSIDs per radio) to allow for the simple identification of the wireless access point in the Internal VLAN topology. 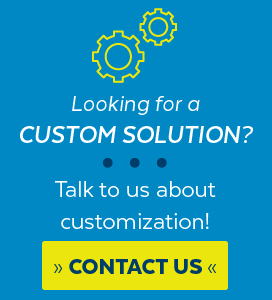 The tagged VLAN also allows for the transmission across the WDS connection and is an ideal solution that allows for the simple isolation of traffic guests from internal usage. The WDAP-C1750 supports AP Controller and Managed AP modes in NMS scheme. 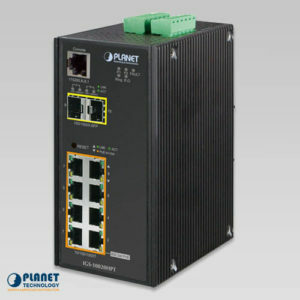 The WDAP-C1750 can operate as an AP Controller with the ability to manage up to 5 WDAP-C1750 units as managed APs. 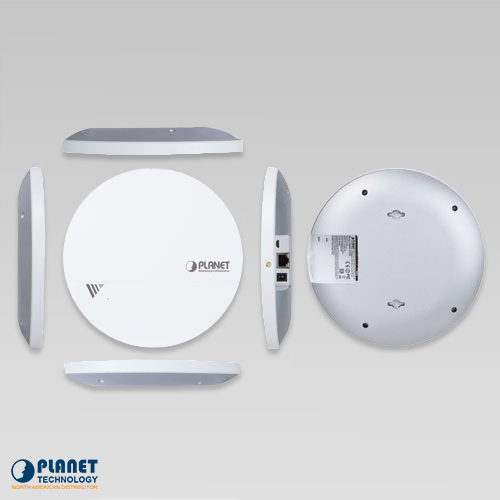 The unit supports WDS Bridge PtP, WDS Bridge PtMP and Repeater modes, providing flexibility for users in existing wireless networks. Compared with general Wireless Access Points, the WDAP-C1750 offers more powerful and flexible capability for wireless clients. The WDAP-C1750 with NMS (Network Management System) permits users to monitor and manage their entire operations when in the operation mode. When entering the NMS control platform, the dashboard displays an at-a-glance view of their wireless networks including system information, managed AP, managed AP group and active client list with real-time scanning. The graphical zone plan showing the wireless coverage including heat maps, devices and location can be customized with the floor map you uploaded. With NMS, any WDAP-C1750 can be the controller of a manageable wireless network. 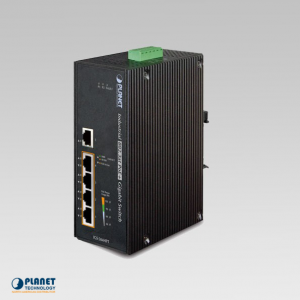 Besides the WEP/WPA/WPA2 encryption for stations, the WDAP-C1750 is integrated with an internal RADIUS server and MAC-based ACL to authenticate and protect your wireless LAN to prevent unauthorized wireless connections. For management purposes, the WDAP-C1750 enables the system administrator to remotely monitor the wireless network status through the SNMP and the syslog server, and the IEEE 802.1Q tagged VLAN to be mapped to multiple SSIDs (16 sets of SSIDs per radio) to distinguish the wireless access in the Internal VLAN topology. The tagged VLAN also allows to be transmitted across the WDS connection and thus it is the best Wireless LAN solution to enterprises to isolate traffic guests from internal usage. The WDAP-C1750 has an elegant, ultra slim, durable ceiling-mount housing, which provides more flexible deployment options for enterprises. By supporting the standard IEEE 802.3at PoE PD power scheme, the WDAP-C1750 can be powered and networked by a single UTP cable, effectively eliminating the needs of dedicated electrical outlets on the ceiling and reducing the cabling cost. 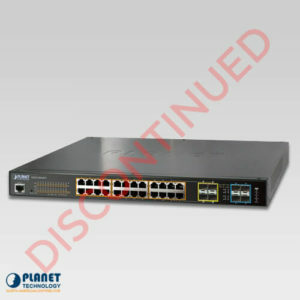 Furthermore, the system administrator is able to arrange PoE schedule by using the managed PoE switch. Besides the standard ceiling-mounting kit, the WDAP-C1750 provides an extra T-rail mounting kit allowing IT engineers to easily hang bulky APs without any construction. In the aspect of management, the WDAP-C1750 supports AP Controller and Managed AP modes in NMS scheme. 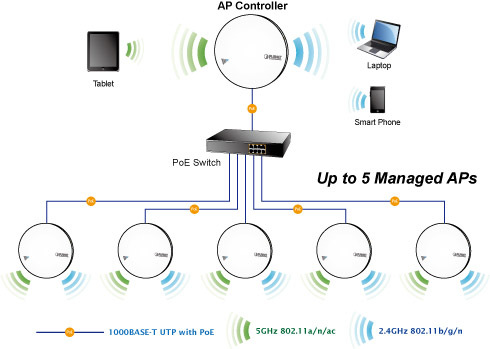 The WDAP-C1750 being an AP Controller is able to centrally manage up to 5 WDAP-C1750 units acting as managed APs. 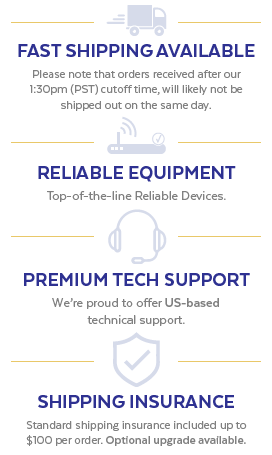 As to common wireless application, it supports WDS Bridge PtP, WDS Bridge PtMP and Repeater modes, through which it provides more flexibility for users when wireless network is established. 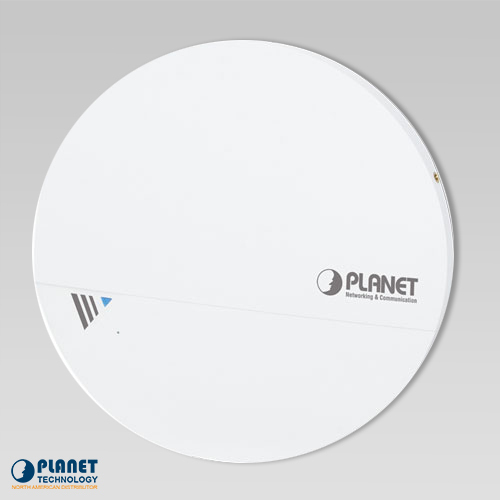 Compared with general wireless access point, the WDAP-C1750 offers more powerful and flexible capability for wireless clients. 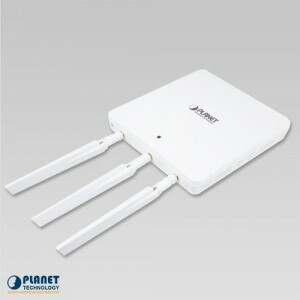 802.11a/b/g: up to 30mThe estimated transmission distance is based on the theory. The actual distance will vary in different environments. clients from occupying the connection.